The Capel family built up an estate of 822 acres in Painswick, Slad and Stroud in the 18th and 19th centuries. By 1838, the house at the centre of this estate, The Grove, contained a dining room, drawing room, breakfast room, hall and screens passage, and six bedrooms. Before 1842, however, this house had been badly damaged by fire. William Capel decided to rebuild the house, and employed George Basevi, architect of the Subscription Rooms and the wings at Painswick House, although the work may have been supervised by a local man. The new house is a Tudor Gothic villa of some sophistication and with 12 bedrooms, it was bigger than its predecessor. The Capels sold their estate in 1914, but retained the house until 1936, when it was sold to Colonel Murray. He changed the name of the house to Hawkwood because of his admiration for Sir John Hawkwood, the colourful mercenary general active in Italy in the 14th century. 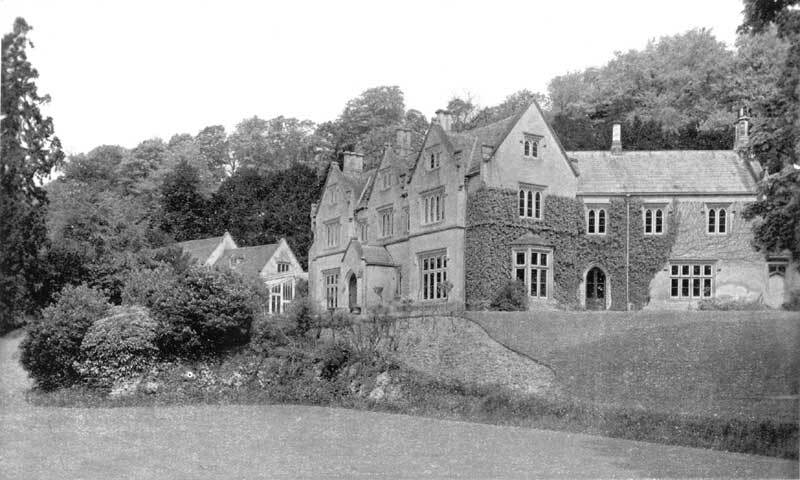 In 1947, the house was sold to Mrs. Lily Whincop, who joined forces with Miss Margaret Bennell, co-founder of Wynstones school at Brookthorpe, to establish a further education college in the house in accordance with the principles of Rudolf Steiner. The college was at first an English language school, but since 1972 has functioned as a more general adult education and conference centre called Hawkwood College.